1. What was your response to the opening scenes of the storm and the rescue, especially when Sarah Dawson left her children behind? 2. Despite her undoubted bravery and her part in the rescue of the Forfarshire’s survivors, Grace Darling was a reluctant heroine. What surprised you the most about her reaction to her fame? 3. Reading a novel based on real events can affect readers in different ways. Had you heard of Grace Darling before you read the novel? What is your reaction to her story? 4. Duty versus desire is one of the themes of the book. How did you respond when reading the scenes with Grace and George Emmerson? Do you feel Grace was right to deny her heart in order to devote her life to her family? 5. 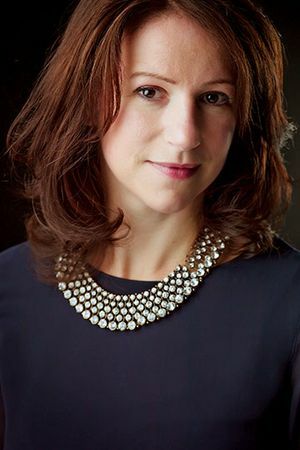 Sarah Dawson is the generational link between Grace and Matilda Emmerson. How did you respond to Sarah as a character in the novel? 6. The book touches on themes of separation, loss, and finding your place in life. In what ways did you relate to the various characters and their struggles? 7. The unique bond between parent and child, particularly mothers and daughters, is also explored through several of the characters in the book. Which relationships particularly resonated with you and why? 8. Do you enjoy reading books written in a dual narrative? Did you have a preference for one time line over the other? If so, why? 9. Matilda’s story reflects that of many unmarried pregnant girls in Ireland in the 1930s. What was your response to her journey from disgraced daughter to determined young mother? 10. As the final scenes in the hurricane unfolded, who were you rooting for and why? 11. Have you ever visited a lighthouse, or would you like to? What is it about lighthouses that fascinates us so much? 12. In many ways, this book is a celebration of women. Who is the most courageous woman you know and why? third-class passengers below, sobbing as they cling to their loved ones, exchanging tokens of remembrance and promises to write. The outpouring of emotion is a sharp contrast to the silence as I stand between my mother and Mrs. O’Driscoll, my chaperone for the journey. I’ve done all my crying, all my pleading and protesting. All I feel now is a sullen resignation to whatever fate has in store for me on the other side of the Atlantic. I hardly care anymore. Tired of waiting to board the tenders, I take my ticket from my purse and read the neatly typed details for the umpteenth time. Matilda Sarah Emmerson. Age 19. Cabin Class. Cobh to New York. T.S.S. California. Funny, how it says so much about me, and yet says nothing at all. I fidget with the paper ticket, tug at the buttons on my gloves, check my watch, spin the cameo locket at my neck. “Whom with,” she corrects, turning her face away with an exaggerated sniff, swallowing her exasperation and fixing her gaze on the unfortunates below. The cloying scent of violet water seeps from the exposed paper-thin skin at her wrists. It gives me a headache. My fingers return defiantly to the locket, a family heirloom that once belonged to my great-great-granny Sarah. As a child I’d spent many hours opening and closing the delicate filigree clasp, making up stories about the miniature people captured in the portraits inside: an alluring young woman standing beside a lighthouse, and a handsome young man, believed to be a Victorian artist, George Emmerson, a very distant relative. To a bored little girl left to play alone in the drafty rooms of our grand country home, these tiny people offered a tantalizing glimpse of a time when I imagined everyone had a happy ever after. With the more cynical gaze of adulthood, I now presume the locket people’s lives were as dull and restricted as mine. Or as dull and restricted as mine was until half a bottle of whiskey and a misjudged evening of reckless flirtation with a British soldier from the local garrison changed everything. If I’d intended to get my mother’s attention, I had certainly succeeded. The doctor tells me I am four months gone. The remaining five, I am to spend with a reclusive relative, Harriet Flaherty, who keeps a lighthouse in Newport, Rhode Island. The perfect hiding place for a girl in my condition; a convenient solution to the problem of the local politician’s daughter who finds herself unmarried and pregnant. At one o’clock precisely, the stewards direct us to board the tenders that will take us out to the California, moored on the other side of Spike Island to avoid the mud banks in Cork Harbor. As I step forward, Mother grasps my hand dramatically, pressing a lace handkerchief to her paper-dry cheeks. I pull my hand away sharply and say goodbye, never having meant the words more. She has made her feelings perfectly clear. Whatever is waiting for me on the other side of the Atlantic, I will face it alone. I wrap my fingers around the locket and focus on the words engraved on the back: Even the brave were once afraid. However well I might hide it, the truth is, I am terrified. I had little thought of anything but to exert myself to the utmost, my spirit was worked up by the sight of such a dreadful affair that I can imagine I still see the sea flying over the vessel. Sarah Dawson draws her children close into the folds of her skirt as the paddle steamer passes a distant lighthouse. Her thoughts linger in the dark gaps between flashes. James remarks on how pretty it is. Matilda wants to know how it works. Suppressing a weary sigh, Sarah bobs down so that her face is level with her daughter’s. “How about we ask Uncle George when we get to Scotland. He’s sure to know all about lighthouses. You can ask him about Mr. Stephenson’s Rocket, too.” Matilda’s face brightens at the prospect of talking about the famous steam locomotive. Sarah wipes a fine mist of sea spray from James’s freckled cheeks, letting her hands settle there a moment to warm him. She turns her gaze to the horizon, imagining the many miles and ports still ahead, willing the hours to pass quickly as they continue on their journey from Hull to Dundee. As a merchant seaman’s wife, Sarah has never trusted the sea, wary of its moody unpredictability even when John said it was where he felt most alive. The thought of him stirs a deep longing for the reassuring touch of his hand in hers. She pictures him standing at the back door, shrugging on his coat, ready for another trip. “Courage, Sarah,” he says as he bends to kiss her cheek. “I’ll be back at sunrise.” He never said which sunrise. As the lighthouse slips from view, a gust of wind snatches Matilda’s rag doll from her hand, sending it skittering across the deck and Sarah dashing after it over the rain-slicked boards. A month in Scotland, away from home, will be unsettling enough for the children. A month in Scotland without a favorite toy will be unbearable. The rag doll safely retrieved and returned to Matilda’s grateful arms, and all interrogations about lighthouses and painting temporarily stalled, Sarah guides the children back inside, heeding her mother’s concerns about the damp sea air getting into their lungs. Below deck, Sarah sings nursery rhymes until the children nap, lulled by the drone of the engines and the motion of the ship and the exhausting excitement of a month in Bonny Scotland with their favorite uncle. She tries to relax, habitually spinning the cameo locket at her neck as her thoughts tiptoe hesitantly toward the locks of downy baby hair inside—one as pale as summer barley, the other as dark as coal dust. She thinks about the third lock of hair that should keep the others company; feels the nagging absence of the child she should also hold in her arms with James and Matilda. The image of the silent blue infant she’d delivered that summer consumes her so that sometimes she is sure she will drown in her despair. Matilda stirs briefly. James, too. But sleep takes them quickly away again. Sarah is glad of their innocence, glad they cannot see the fog-like melancholy that has lingered over her since losing the baby and losing her husband only weeks later. The doctor tells her she suffers from a nervous disposition, but she is certain she suffers only from grief. Since potions and pills haven’t helped, a month in Scotland is her brother’s prescription, and something of a last resort. As the children doze, Sarah takes a letter from her coat pocket, reading over George’s words, smiling as she pictures his chestnut curls, eyes as dark as ripe ale, a smile as broad as the Firth of Forth. Dear George. Even the prospect of seeing him is a tonic. A few lines to let you know how eager I am to see you, and dear little James and Matilda—although I expect they are not as little as I remember and will regret promising to carry them piggy back around the pleasure gardens! I know you are anxious about the journey and being away from home, but a Scottish holiday will do you all the world of good. I am sure of it. Try not to worry. Relax and enjoy a taste of life on the ocean waves (if your stomach will allow). I hear the Forfarshire is a fine vessel. I shall be keen to see her for myself when she docks. No news, other than to tell you that I bumped into Henry Herbert and his sisters recently at Dunstanburgh. They are all well and asked after you and the children. Henry was as tedious as ever, poor fellow. Thankfully, I found diversion in a Miss Darling who was walking with them—the light keeper’s daughter from Longstone Island on the Farnes. As you can see in the margins, I have developed something of a fondness for drawing lighthouses. Anyway, I will tell you more when you arrive. I must rush to catch the post. Wishing you a smooth sailing and not too much of the heave ho, me hearties! p.s. Eliza is looking forward to seeing you. She and her mother will visit while you are here. They are keen to discuss the wedding. Sarah admires the miniature lighthouses George has drawn in the margins before she folds the letter back into neat quarters and returns it to her pocket. She hopes Eliza Cavendish doesn’t plan to spend the entire month with them. She isn’t fond of their eager little cousin, nor her overbearing mother, but has resigned herself to tolerating them now that the engagement is confirmed. Eliza will make a perfectly reasonable wife for George and yet Sarah cannot help feeling that he deserves so much more than reasonable. If only he would look up from his canvas once in a while, she is sure he would find his gaze settling on someone far more suitable. But George will be George and even with a month at her disposal, Sarah doubts it will be long enough to change his mind. Still, she can try. Night falls beyond the porthole as the ship presses on toward Dundee. One more night’s sailing, Sarah tells herself, refusing to converse with the concerns swimming about in her mind. One more night, and they’ll be safely back on dry land. She holds the locket against her chest, reminding herself of the words John had engraved on the back. Even the brave were once afraid. Courage, Sarah, she tells herself. Courage. Dawn blooms over the Farne Islands with soft layers of rose-tinted clouds. From my narrow bedroom window I admire the spectacle, while not trusting it entirely. We islanders know, better than most, how quickly the weather can turn, and there is a particular shape to the clouds that I don’t especially care for. After spending the small hours on watch, I’m glad to stretch my arms above my head, savoring the release of tension in my neck and shoulders before climbing the steps to the lantern room. Another night navigated without incident is always a cause for quiet gratitude and I say my usual prayer of thanks as I extinguish the Argand lamps, their job done until sunset. The routine is so familiar that I almost do it without thought: trim the wicks, polish the lenses of the parabolic reflectors to remove any soot, cover the lenses with linen cloths to protect them from the glare of the sun. Necessary routine tasks which I take pride in doing well, eager to prove myself as capable as my brothers and eager to please my father. A sea shanty settles on my lips as I work, but despite my efforts to focus on my chores, my thoughts—as they have for the past week—stubbornly return to Mr. George Emmerson. Why I persist in thinking of him, I cannot understand. We’d only spoken briefly—twenty minutes at most—but something about the cadence of his Scots burr, the particular way he rolled his r’s, the way he tilted his head when surveying the landscape, and most especially his interest in Mary Anning’s fossils, has stuck to me like barnacles on a rock. “Tell me, Miss Darling, what do you make of Miss Anning’s so-called Sea drrragons?” My mimicry brings a playful smile to my lips as I cover the last of the reflectors, idle thoughts of handsome Scotsmen temporarily concealed with them. The lamps tended to, I walk once around the lantern to catch the beauty of the sunrise from all angles. From the first time I’d climbed the spiraling lighthouse steps at the age of seven, it was here, at the very top of the tower, where I loved to be most of all, the clouds almost within touching distance, the strong eighty-foot tower below keeping us safe. The uninterrupted view of the Farne Islands and the Northumbrian coast hangs like a vast painting in a private gallery, displayed just for me, and despite the growl in my stomach I’m in no hurry to head downstairs for breakfast. I lift Father’s telescope from the shelf and follow a flock of sandwich terns passing to the south before lowering the lens to watch the gulls bobbing about on the sea, waiting for the herring fleet to return. The patterns of light on the surface of the water remind me of Mary Herbert’s silk dress shimmering as she danced a reel at last year’s harvest home ball. Dear Mary. Despite our friendship, she and her sister, Ellen, have always thought me a curious creature, unable to understand how anyone could possibly prefer the wind-lashed isolation of an island lighthouse to the merry hubbub of a dance. “Will we see you at the ball this year, Grace? Henry is anxious to know.” Their dedication to the cause of finding me a suitable husband—preferably their brother—is nothing short of impressive, but the business of marriage doesn’t occupy my thoughts as it does other women of my age, who seem to think about little else. 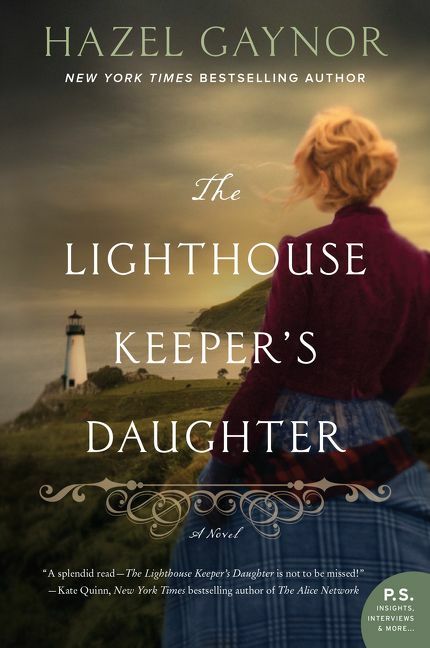 Even my sisters, who now live over on the Main, perpetually tease me about being married to the lighthouse. “You’ll never find a husband if you hide away in your tower, Grace. You can’t very well expect the tide to deliver one to you.” Time and again, I have patiently explained that even if I did marry I would merely be swapping the life of a dutiful daughter for that of a dutiful wife, and from what I’ve observed I’m not at all convinced the institution of marriage is worth the exchange. It is a point well-made, and one they find difficult to argue with. As I make my way down to the service room which sits just below the lantern room, I pause at the sound of my father’s voice floating up the steps. His Trinity House cap appears above the top step, followed by thick eyebrows, white as the lime-washed tower walls. I take his arm to help him up the last few steps. Father scans the horizon, looking for anything unusual among the waves, interpreting the particular shape of the swells, crests, and troughs. It bothers him that his eyesight isn’t what it used to be, glad to have me as a second pair of eyes. We make a good team; him the patient teacher, me the eager pupil. “Seals on Harker’s Rock, eh. Local fishermen will tell you that’s a sign of a storm coming. Mam’s already fretting about your brother getting back.” He focuses the telescope on the clouds then, looking for any indication of approaching squalls or incoming fogs or anything to suggest an imminent change in the conditions. My father reads the clouds and the behavior of the seabirds as anyone else might read directions on a compass, understanding the information they offer about bad weather approaching, snow on the way, a north wind blowing. Partly by his instruction and partly by an inherent islander’s instinct nurtured over my twenty-two years, I have absorbed some of this knowledge, too. But even the most experienced mariner can occasionally be fooled. Father rubs his chin as he always does when he’s thinking. “Sailors’ warning,” I say. “But the sky is pink, Father, not red. And anyway, it’s far too pretty to be sinister.” Chuckling at my optimism, he places the telescope in his lap and shuts his eyes, enjoying the warmth of the sunlight against his face. It troubles me to see how he’s aged in recent months; that he isn’t quite as vigorous as he once was. But despite doctor’s orders that he take it easy, he insists on continuing as Principal Keeper. As stubborn as he is humble, there’s little point in arguing with him. Being the light keeper here isn’t just my father’s job—it is his life, his passion. I might as well tell him to stop breathing as to stop doing the familiar routines he has faithfully carried out here for decades. I laugh and promise not to. Taking the telescope from him, I lift the cool rim to my eye, tracking a fisherman’s boat as it follows a course from North Sunderland toward the Outer Farnes. Hopefully it is a postal delivery with word from Trinity House regarding our annual inspection. Waiting for the report always makes Father restless, even though previous reports have consistently noted the exceptional standards maintained at the Longstone light, declaring it to be among the best-kept stations in England. “Pride goes before destruction,” Father says whenever I remind him of this. “And a haughty spirit before stumbling. Proverbs 16:18.” He is not a man to dwell on success, only striving to work harder because of it. Among the many traits that I admire in him, his humility is the one I admire the most. Hauling himself up from the chair, he joins me at the window. “The hairs are prickling at the back of my neck, Grace. “I’d rather the birds flew inside than knocked themselves out against the glass.” Too many birds crash against the lantern room windows, dazzled by the reflected sun. I’ve often found a stiffened guillemot or puffin when I step out onto the perimeter to clean the glass. “Father! You’re wicked.” I bat his arm affectionately, pleased to see the sparkle return to his eyes, even if it is at Mam’s expense. My parents’ quarrelling is as familiar to me as the turn of the tides, but despite all the nagging and pointed sighs, I know they care for each other very much. Mam could never manage without my father’s practicality and good sense, and he would be lost without her steadfast resourcefulness. Like salt and the sea they go well together and I admire them for making it work, despite Mam being twelve years my father’s senior, and despite the often testing conditions of island life. Father flicks through the Log book, adding a few remarks in his careful script. September 6th: Sea conditions: calm. Wind: Light south-westerly. Paddle steamer passing on horizon at two o’clock. Clouds massing in the south. He takes my hand in his then, squeezing it tight, just like he used to when I was a little girl walking beside him on the beaches at Brownsman, our first island home. The rough calluses on his palms rub against my skin, his fingers warm and paper dry as they wrap themselves around mine, like rope coiling neatly back into place. I squeeze his hand in reply. “And why would I want to marry and live on the Main? Where else would I want to be other than here, with you and Mam and the lamps and the seals?” It’s an honest question. Only very rarely do my thoughts stray across the sea toward an imaginary life as a dressmaker or a draper’s wife in Alnwick, but such thoughts never last long. I’ve seen how often women marry and become less of themselves, like scraps of pastry cut away and reused in some other, less important way. Besides, I don’t belong to bustling towns with their crowded streets and noisy industry. I belong here, with the birds and the sea, with the wild winter winds and unpredictable summers. I leave him then, descending the spiraling staircase, the footsteps of my absent sisters and brothers carried in the echo that follows behind. There’s an emptiness to the lighthouse without the hustle and bustle of my seven siblings to trip over and squabble with, and although I enjoy the extra space afforded by their absence, I occasionally long for their rowdy return. As always, there is a chill in the drafty stairwell and I pull my plaid shawl around my shoulders, hurrying to my small bedroom beneath the service room, where a cheery puddle of sunlight illuminates the floor and instantly warms me. The room is no more than half a dozen paces from one side to the other. I often think it is as well none of us Darling children grew to be very tall or large in frame or we should have had a very sorry time always bending and stooping. Against one wall is my wooden bedchamber, once shared with my sister, Betsy. A writing desk stands in the center of the room, a ewer, basin and candlestick placed upon it. Crouching down beside a small tea chest beneath the window, I push up the lid and rummage inside, my fingers searching for my old work box, now a little cabinet of curiosities: fragile birds’ eggs protected by soft goose down; all shape and size of seashells; smooth pebbles of green and blue sea glass. I hope the collection might, one day, be impressive enough to show to Father’s friends at the Natural History Society, but for now I’m content to collect and admire my treasures from the sea, just as a lady might admire the precious gems in her jewelry box. Much as I don’t want for a husband or a position as a dressmaker, nor do I want for fancy jewels. Taking a piece of emerald sea glass from my pocket, I add it to the box, my thoughts straying to the piece of indigo sea glass I’d given to Mr. Emmerson, and the generous smile he’d given me in return. “There is an individuality in everything, Mr. Emmerson. If you look closely at the patterns on seashells, you’ll see that they’re not the same after all, but that each is, in fact, unique.” He wasn’t like Henry Herbert or other men in my acquaintance, eager to brag about their own interests and quick to dismiss a woman’s point of view, should she dare to possess one. Mr. Emmerson was interested in my knowledge of the seabirds and the native wild flowers that grow along Dunstanburgh’s shoreline. When we parted, he said he’d found our conversation absorbing, a far greater compliment than to be considered pretty, or witty. I scold myself for my silliness. I am no better than a giggling debutante with an empty dance card to dwell on a conversation of so little significance. I close the lid of the work box with a snap before returning it to the tea chest. Continuing down the steps, I pass the second-floor room where my sisters Mary-Ann and Thomasin had once slept in their bunk beds, whispering and giggling late into the night, sharing that particular intimacy only twins can know, and on, past my brother Brooks’ bedroom on the first floor, his boots left where he kicked them off beneath his writing table, his nightshirt hanging over the back of a chair, waiting expectantly for his return. At the bottom of the stairwell, I step into our large circular living quarters where Mam is busy kneading a bad mood into great mounds of bread dough at the table in front of the wood-burning stove, muttering about people sitting around the place like a great sack of coal and, Lor!, how her blessed old bones ache. Taking my cloak and bonnet from the hook beside the door, I step outside and make my way to the henhouse where I collect four brown eggs and one white before taking a quick stroll along the exposed rocks, determined to catch some air before the weather turns and the tide comes in. I peer into the miniature aquariums in the rock pools, temporary homes for anemone, seaweed, pea crabs, mussels, and limpets. As the wind picks up and the first spots of rain speckle my skirt, I tighten the ribbons on my bonnet, pull my cloak about my shoulders, and hurry back to the lighthouse where Mam is standing at the door, frowning up at the darkening skies. And not unlike his mam, I think. I urge her not to worry. “Brooks will be in the Olde Ship, telling tall tales with the rest of them. He won’t set out if it isn’t safe to do so. He’s stubborn, but he isn’t foolish.” I hope he is, indeed, back with the herring fleet at North Sunderland. It will be a restless night without him safe in his bed. “Only if you let it,” I say, my stomach growling to remind me that I haven’t yet eaten. Leaving Mam to beat the hearth rug, and her worries, against the thick tower walls with heavy slaps, I place the basket of eggs on the table, spread butter on a slice of still-warm bread, and sit beside the fire to eat, ignoring the wind that rattles the windows like an impatient child. The lighthouse, bracing itself for bad weather, wraps its arms around us. Within its proud walls, I feel as safe as the fragile birds’ eggs nestling in their feather beds in my work box, but my thoughts linger on those at sea, and who may yet be in danger if the storm worsens.